It has been 3 years since I became a self-published author. I started with a cookbook, thinking that it would be “easy” to do and get my foot in the door of several publishing agents. Truth be told, writing any kind of book is hard work and time consuming. 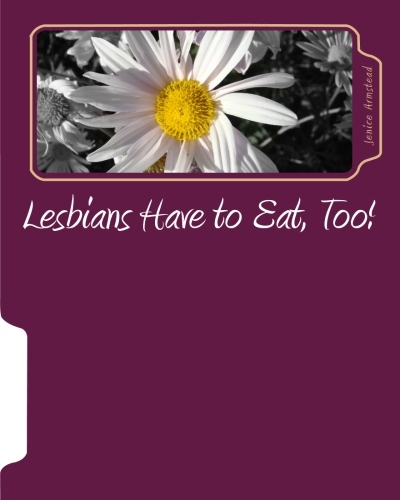 My first book “Lesbians Have to Eat, Too!” as no exception. I am happy to celebrate the 3rd successful year of self-publishing “Lesbians Have to Eat, Too!” My personal message to you is, never give up on your dreams. Press on, and press in – with diligence, dedication and determination you will succeed at your goal. Eating right is only half of the equation for living a healthy life. The first part of living a healthy life style is belief that it is possible. Your thoughts are just as powerful as what you can see with your own eyes. Thoughts are ideas, ideas start with the thought of the possibilities of what can come to life. Studies have been conducted on thoughts and it has been affirmed that a thought has a frequency. If a thought has a frequency than it must become as the thinker believes. Meaning, everything you see once started as a thought. There were thoughts on how the idea would come about and then it would be so. As so is true for living healthy and eating right. If you have thoughts of “how hard it is too loose weight and eat right” then that must be your reality. If you keep these types of thoughts in your mind, you will make eating right and living healthy hard – when it does not have to be. In order to start this new journey of living healthy and happy your new thought could start with the statement “life is great, I am living healthy and happy right now, my body is working for me, and I am treating it right.” Your thoughts are so powerful that you can create anything – including a better life for yourself. Along with thinking positive and eating right, it is important to also start a regular exercise plan that is perfect for you. A good exercise plan contains three important elements: 10-minute warm up, 20-minute aerobic plan and 5 – 10 minute stretch or cool down period. Every single recipe in this book is designed to help you start and maintain a healthy life style as you see fit right for your body. Eating is a celebration of nutrition to the body – your body is your temple. Keeping in mind, we all have urges to eat things we know we should not…or eat too much food at any time in our life. This does not make you a “bad” person. Always remember you can change your thoughts and though changing your thoughts your reality will change as well.